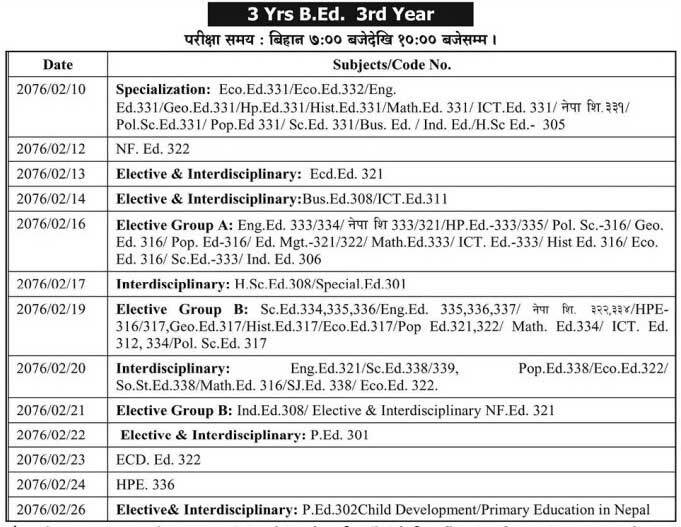 Tribhuvan University, office of the controller of examination, Balkhu has published examination routine of 3 Yrs B.Ed. 3rd year 2076. The examination of 3 Yrs B.Ed. 3rd year 2076 starts on 2076/02/10 and ends on 2076/02/26.